How easy was when at Peru to go to the Street Market and ask for my little bag of all the sauces I needed it to make my meals. As soon as I got here, I notice that I had to start making my own little sauces, which are the base flavors of our dishes. Now I am writing it here to ensure my kids can cook those dishes they so much like. 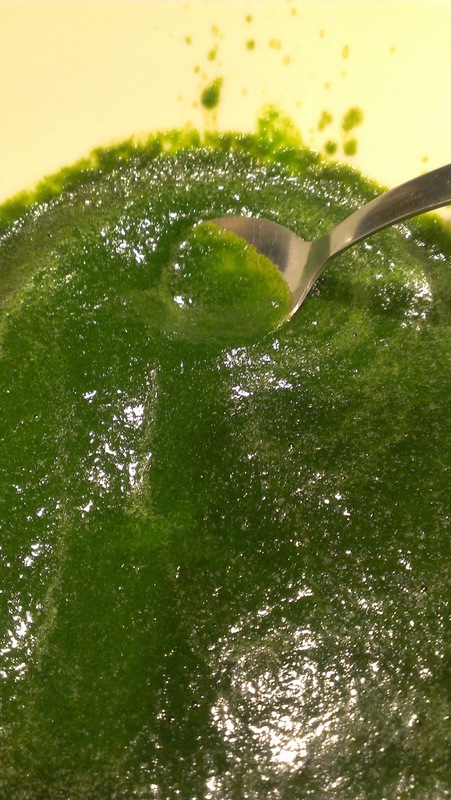 Cilantro Paste, which is more like a not that thick smoothie, is the base of dishes like Aguadito, Arroz con Pollo, and Seco. As you learn to cook, you will find more dishes where to use your Cilantro Paste, in some cases you might even invent your own dishes. I called this recipe the Basic Cilantro Paste, because in Peru when you go buy it they add more things to it, depending of what it is to be done. But I like to do this base because it takes on all the dishes the same. Though is good to say that I do not forget to add extra ingredients to the paste when i am to use it. 6 Cups of Cilantro, no stems and do not pack it in, just loosely placed. Juice the Cilantro, if planning to save for later; just freeze in small bags.